The curriculum of St. Viator Parish School follows the guidelines and objectives detailed in "Teaching for the 21st Century," the graded courses of study for elementary schools, developed by the Archdiocese of Cincinnati and adopted by the Department of Education, Diocese of Las Vegas. The core subjects taught include: Religion, English, Math, Reading, Science and Social Studies. Students also receive instructions in Spanish, Art, Music, Physical Education and Computer Literacy. 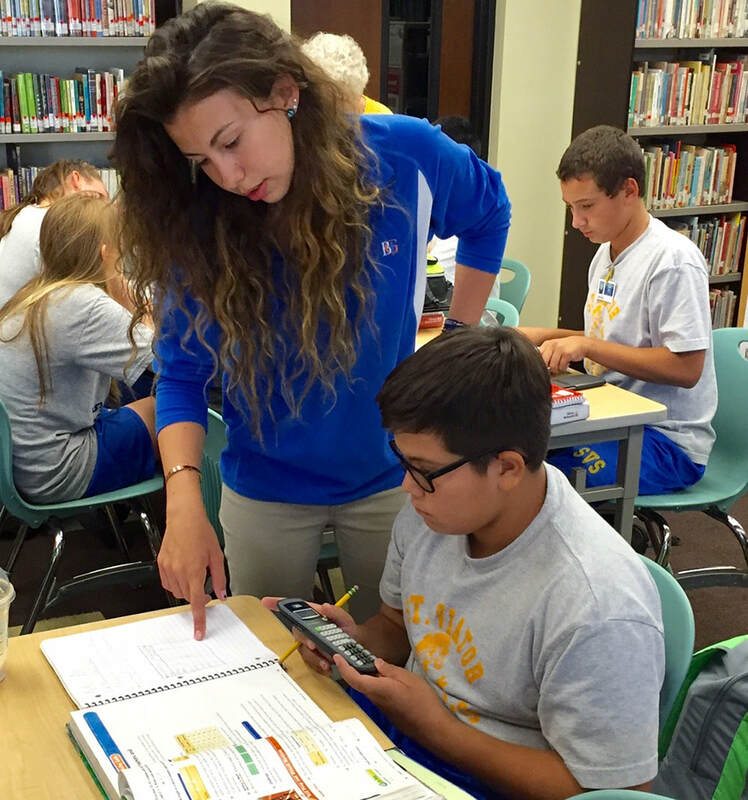 Middle School students are provided with Advanced Mathematics and Spanish instruction. In addition, students attend weekly School Masses. Extra curricular activities include: Choir, Altar Servers, Student Council, National Junior Honor Society, Art, Geography Bee, Spelling Bee, Science Fair, Yearbook, Cheerleading, Chess, Drama Ministry Club, Student TV News, Student Newspaper, Book Club, Forensics, and sports activities sponsored by the Catholic Schools' Sports League. To compliment the value systems of the school and family, an Extended Care Program is also offered. Quality care with a nurturing staff in a planned environment provides a rich after school experience. St. Viator Parish School is fully accredited by the Western Catholic Educational Association (WCEA). WCEA accredits Catholic elementary and secondary schools in nine western states (26 (arch) dioceses) and the US Territory of Guam. WCEA co-accredits and is in partnership with three Regional agencies (WASC, NAAS, NCA CASI) and two private agencies (CAIS and HAIS). WCEA began in 1957 in San Francisco and has a long and successful history of assisting school improvement through the accreditation process. The Visiting Committee for WCEA observed that our school was "highly effective" (best score) for eleven out of twelve accreditation factors. You may read the entire 25 page Report of Findings for details. To receive validation from this excellent accreditation association that our school is one of the best catholic elementary schools is a great privilege.